"Drinking Straws: How Many Holes?" NYT: "New Findings Could Save Lives of More Stroke Patients". Original article in the New England Journal of Medicine: "Thrombectomy for Stroke at 6 to 16 Hours with Selection by Perfusion Imaging". "Elon Musk is now selling flamethrowers -- and he sold $2 million worth of them in 24 hours"
"1,500 Chinese construction workers built this train station in just nine hours." Self-parking slippers for Japanese guesthouse. [Off Topic] My latest Forbes column is out: "You Might Not Like The President, But That Doesn't Mean He's Crazy". Man tries to hold in a sneeze, and instead tears his throat and requires 7 days in the hospital. Link includes some impressive x-ray and CT images. "Foldscope is a real microscope that’s made of paper"
"Map Showing Where Today’s Countries Would Be Located on Pangea"
...And concerns about the robustness of military communications in a nuclear attack inspired RAND researcher Paul Baran to propose a network of distributed communication—an idea that evolved into the military’s revolutionary ARPANET and matured to become the internet. NYPD And "Get Out of Jail Free" Cards. 21st Century Headline: "A Tesla owner’s excuse for his DUI crash: The car was driving"
"The List of Places That Scan Your Face Is Growing". [H]alf of all American adults have their photos in the FBI’s facial recognition database, which the bureau has been using since 2011 to track and identify suspects. Yet, the software had a 15 percent rate of inaccuracy—higher than Facebook’s—and incorrectly identified black people more often than white people. "The Reality of Color Is Perception: An argument for a new definition of color"
"Moore's Law and AGI Timelines"
"The Dishwasher Gets A Redesign For Tiny Apartments"
"Amazon Whittles Down List of HQ2 Contenders to 20 Finalists". 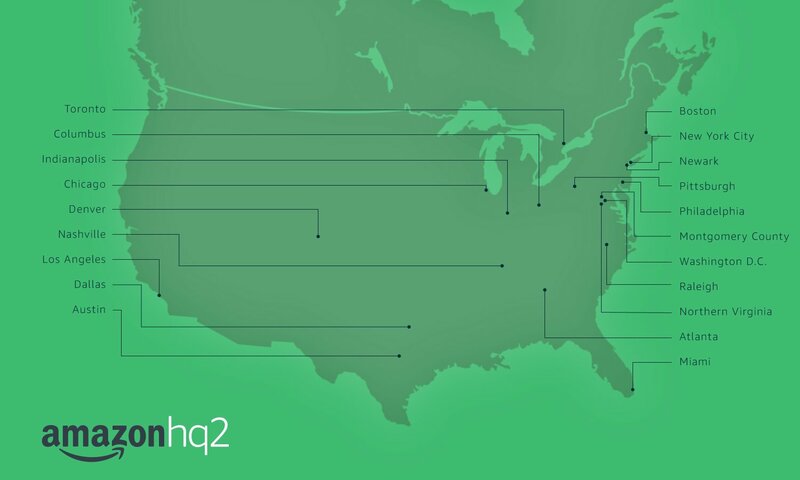 Denver is one of the finalists. "The Pentagon's New Artificial Intelligence Is Already Hunting Terrorists"
"Learning From Hawaii's False Missile Attack Fiasco"
"Bad design in action: The false Hawaiian ballistic missile alert"
"Big Brother on wheels: Why your car company may know more about you than your spouse"
"The Alchemy of Novelty Potato Chip Flavors"
"Yale Professors Race Google and IBM to the First Quantum Computer"
NYT: "Kazakhstan Cheers New Alphabet, Except for All Those Apostrophes"
"Why Do Toll-Free Numbers Start With 800?" "I Rode in a Car in Las Vegas. Its Driver Was in Silicon Valley"
Kelly the dolphin has built up quite a reputation. All the dolphins at the institute are trained to hold onto any litter that falls into their pools until they see a trainer, when they can trade the litter for fish. In this way, the dolphins help to keep their pools clean. Kelly has taken this task one step further. When people drop paper into the water she hides it under a rock at the bottom of the pool. The next time a trainer passes, she goes down to the rock and tears off a piece of paper to give to the trainer. After a fish reward, she goes back down, tears off another piece of paper, gets another fish, and so on. …Her cunning has not stopped there. One day, when a gull flew into her pool, she grabbed it, waited for the trainers and then gave it to them. It was a large bird and so the trainers gave her lots of fish. This seemed to give Kelly a new idea. The next time she was fed, instead of eating the last fish, she took it to the bottom of the pool and hid it under the rock where she had been hiding the paper. When no trainers were present, she brought the fish to the surface and used it to lure the gulls, which she would catch to get even more fish. After mastering this lucrative strategy, she taught her calf, who taught other calves, and so gull-baiting has become a hot game among the dolphins. Earliest known Roman practical joke. "What Fitbit's 6 billion nights of sleep data reveals about us"
The U.S. Customs and Border Patrol announced new restrictions on when agents can copy data from digital devices at border crossing points. Agents now need “reasonable suspicion” in advance of searches of phones, computers, tablets, cameras or any other digital device belonging to people entering or leaving the United States. Border agents will also be restricted from accessing data stored remotely in the cloud. The new guidance published (PDF) on Friday update existing rules introduced in 2009 regarding “advanced” searches that can be conducted at random and without warrant. Under the new rules, border agents would still be able to conduct “basic” searches “with or without suspicion,” which entails physical examination of digital devices, such as sorting through photos and examining messages. “Advanced” searches based on “reasonable suspicion” will still be permitted and agents can still review, copy, and analyze a digital device’s contents. The directive states travelers may be asked to provide passcodes to unlock a device. If the border agent is unable to inspect the device because it is passcode or encryption-protected, the agent may detain the device for up to five days. Side-by-side photos of The Crown's cast with their real-life counterparts. Excellent casting! "The arcane world of Japan's taiko drummers"
NJ town to fine drivers $200 for using Waze/Google-guided shortcuts through residential streets. 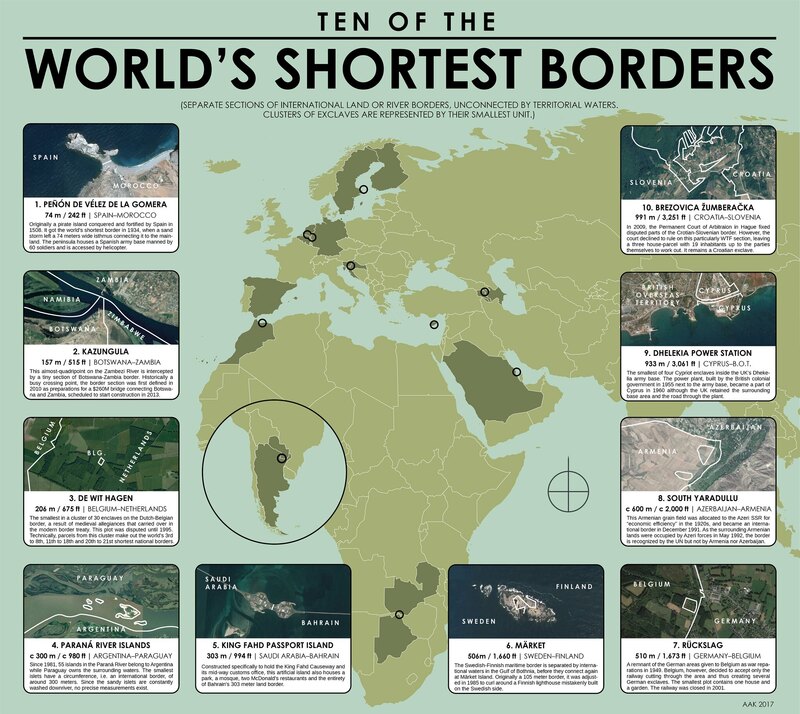 "Gorgeous map of ten of the world's shortest borders". "This Is the Largest Known Prime Number Yet"
"Put telescopes on the far side of the Moon"
"NSA's top talent is leaving because of low pay, slumping morale and unpopular reorganization"
"Welcome to the National Valet Olympics"
NYT: "How Do You Vote? 50 Million Google Images Give a Clue"